His real name was Robert Bartl. After initial studies in mathematics, he was trained by Hans Pokorny in Prague. He made his debut in 1914 at the Theater of Aussig as Valentin in ‘’Faust’’ by C. Gounod. In the 1915-1916 season he sang at the Deutschen Theater in Prague and made guest appearance at the Stadttheater in Augsburg. Since 1916 he was a member of the Hofoper (since 1918 Staatsoper) in Dresden. Here he appeared until 1944. Together with artists such as Tino Pattiera and Meta Seinemeyer he was significantly involved in the Verdi Renaissance of the 1920’s in Germany. On 14. 1. 1918 he performed in Dresden in the world premiere of the opera ‘’Der Eroberer’’ by Jan Brandts-Buys, on 9. 9. 1926 in Hindemith's' ‘’Cardillac’’, on 21. 5. 1925 the title role in the world premiere of Ferruccio Busoni’s' ‘’Doktor Faust’’, in 1930 in the world premiere of Mark Lothar's opera ‘’Lord Spleen’’. From 1933 to 1942 he sang at the Bayreuth Festival. 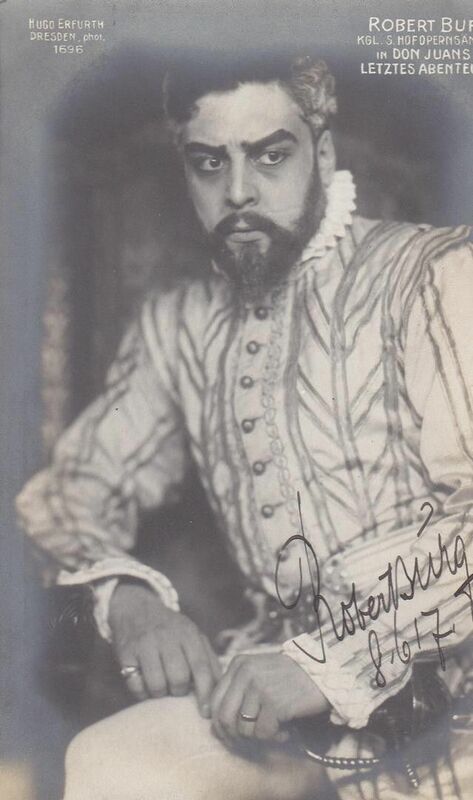 In 1935 he appeared at the Festival of Sopot as Hans Sachs in ‘’Die Meistersinger von Nürnberg’’ and as Colonna in ‘’Rienzi’’, in 1924 and 1928 he sang at the Vienna State Opera, in 1924 and 1931 at the Städtische Oper in Berlin. He also performed in Zurich, Munich, Amsterdam and Budapest. Robert Burg suffered a heartbeat during a concert in Dresden. He was the son of an operetta singer Anna Tariol-Baugé (1872-1949) and a singing teacher. Originally he wanted to become a painter, studied at the École des Beaux-Arts in Paris and exhibited a portrait in the Parisian ‘’Salon’’. He received his education under his parents. In 1912 he made his debut in Grenoble under the name André Grillaud. In 1914 he became a soldier in the French army, in the war he was twice wounded and appointed Knight of the Legion of Honor. 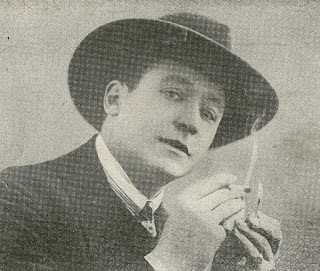 In 1917 he joined to the Opéra-Comique of Paris (debut: Frédéric in ‘’Lakmé’’). Until 1925 he was a member of the Opéra-Comique, where in 1923 he appeared in the world premiere of ‘’La brebis égarée’’ by Darius Milhaud. 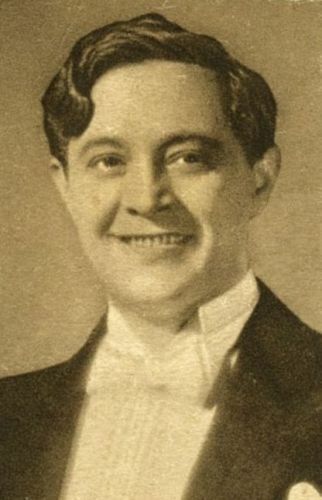 In 1924 he sang at the Opéra de Monte-Carlo the role of Escamillo in ‘’Carmen’’, in 1925 at the Théâtre Marigny in Paris in ‘’Monsieur Beaucaire’’ of Messager and then appeared mostly in operettas. In 1929 he became a director of the Théâtre Trianon-Lyrique in Paris, in the 1936-1937 season sang at the Opéra de Marseille, in 1938 at the Théâtre Châtelet, in 1940 at the Théâtre Mogador in Paris. In 1934 he performed at the Théâtre Lyrique de la Porte Saint-Martin in Paris in the premiere of the opera ‘’Fragonard’’ by Gabriel Pierné. He also participated in several French films. Since 1946 he became a professor of the École normale de Musique in Paris. Married the soprano Suzanne Laydeker. She received her education at the Sternska Conservatory. She studied singing also under Désirée Artôt. 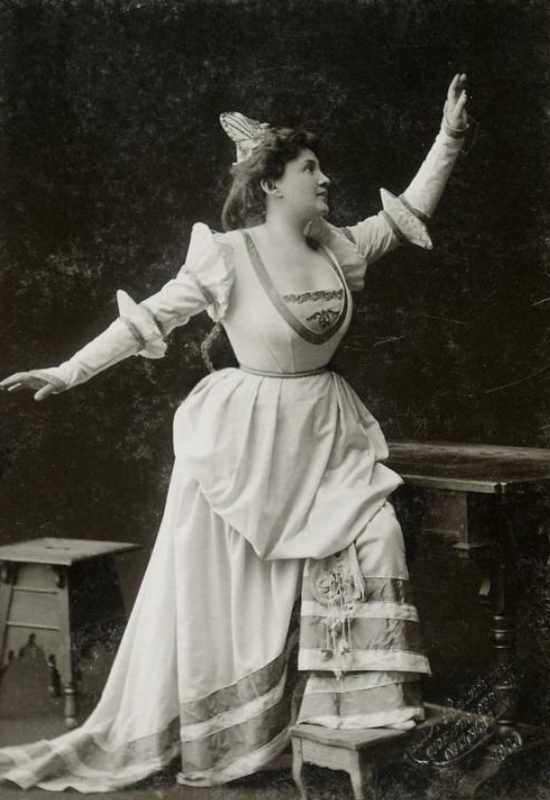 She made her debut at the Berlin Kroll Opera as Azucena in ‘’Trovatore’’ and sang here in the 1884-1887 seasons, in Hamburg she appeared from 1887 to 1890. In the 1890-1891 season she appeared at the Metropolitan Opera in New York.In 1892 she became the first contralto at the Berlin Opera House. 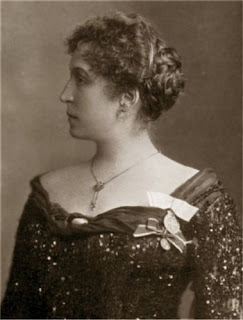 In 1907 she performed in Stockholm at a concert. She attended the Collège Sévigné in Paris and originally wanted to study medicine. Then she trained under Isnardon and Martini at the Conservatoire National in Paris. She was also taught by the famous Felia Litvinne. In 1912 she made her debut at the Opéra-Comique in Paris as Antonia in "Les contes d'Hoffmann". In 1913 she appeared in the premiere of the opera "Le Pays" by Guy Ropartz. In 1914 she was engaged by the Grand Opéra in Paris and remained for thirty years. In 1927 she had a special success there as Octavian in the premiere of the R. Strauss’s "Rosenkavalier". She appeared at the Grand Opéra in the world premieres of the operas "La Légende de St. Christophe" by Vincent d'Indy (6. 6. 1920), "Maximilien" by Darius Milhaud (5. 1. 1932) and "La Chartreuse de Parme" by Henri Sauguet (16. 3. 1939). In 1930, her Leonore was admired at the Grand Opéra in "Fidelio" under Bruno Walter, in 1928 her Cassandre in "Les Troyens" by H. Berlioz. In 1930 she sang in Amsterdam the title role in Gluck's "Iphigénie en Tauride". Guest performances have brought her great international success. So she sang in 1931 at the Salzburg Festival the part of Donna Anna in "Don Giovanni", at the Covent Garden Opera in London in 1937 as Alceste by Gluck and the Ariane in "Ariane et Barbe-bleue" of Dukas, in 1938 the role of Kundry in "Parsifal". At the Bayreuth Festival she appeared in 1938 as Kundry, in 1939 as Isolde in "Tristan und Isolde". 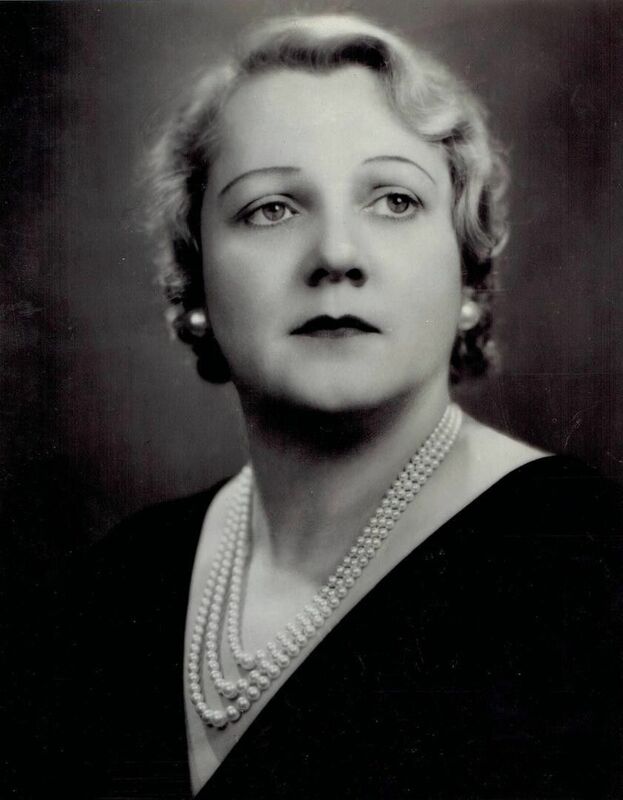 In 1933 she sang at the Opéra de Monte-Carlo the role of Octavian in "Rosenkavalier", at the Teatro del Maggio Musicale Fiorentino in "Castor et Pollux" by Rameau (1935). In 1942 she sang the role of Charlotte in ‘’Werther’’ at the centenary for Jules Massenet in Paris. In 1944 she was arrested on suspicion of collaboration with the German occupying forces, but the subsequent process completely rehabilitated. In 1950 she gave a final concert at the Paris Salle Gaveau. 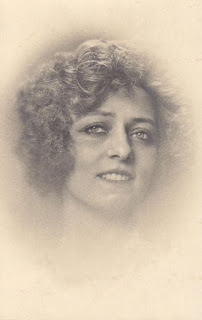 Later she taught singing in Paris and among her pupils were Régine Crespin, Udo Reinemann, Nadine Denize, Émile Belcourt, Pierre Fleta and Rachel Yakar. His real name was Robert Bidaut. His father was a doctor, who died during the World War I. He received his first vocal lessons from his mother, who was a singer. Then he appeared in Montmartre cabarets and noticed by the director of Gaîté-Lyrique who helped him to join the troupe alongside with Louise Dhamarys, Georges Foix and Leon Ponzio. He sang the repertoire of baritone (Rip, Les Saltinbanques, Le Grand Mongol, 1922). He appeared in the premieres of ‘’Amour de Princesse’’ by Louis Urgel (October 1923) and ‘’La Hussarde’’ by Félix Fourdrain (February 1925). On October 9, 1926 he made his debut at the Opéra-Comique in ‘’Manon’’. He appeared in ‘’Les contes d'Hoffmann’’, ‘’La Traviata’’, ‘’Paillasse’’, ‘’Lakmé’’, ‘’Herodiade’’. He appeardd in the premieres of ‘’Le Poirier de Misère’’ by Marcel Delannoy (1927) and ‘’Resurection’’ of Franco Alfano (1927). 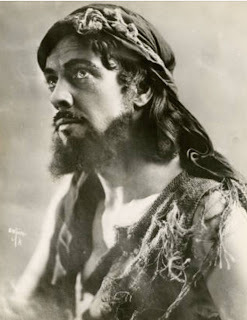 Between 1928 and 1930 he also shared the room of Ba-Ta-Clan directed by Jean Casanova at 50 boulevard Voltaire; he joins the Rozani, Henri Monval, Régianne, Clairefeuille and Jane Morlet to interpret his favorite roles De Montlandry of the Little Duke, Jean Robichon of the Cockade of Mimi Pinson, Brissac of the Musketeers at the Convent, Pippo of the Mascotte, Surcouf de Surcouf, Rodolphe of the Little Bride, and Didier de la Teresina. In 1931, after a change of direction and a series of disagreements with the Opéra-Comique, he left his theatre. He joins André Randall, Xavier Lemercier, R. Vincent, J. Brochard, F. Saala, R. Carlez, V. Troïzka and E. Carise on the stage of the Folies-Bergères. In 1932 he appeared in a series of short films made for Paramount with Champini and Tramel directed by Karkoff. Then continued his career at the music halls, performing in Bobino (1934) with Marainne Oswald and Mireille. At the Théâtre de Belleville (1935) with La Houppa. In 1938 with Georgette Plana, Pierre Clarel and Antonin Berval at the Alambra (1938). In 1938 he perfomed on the Radio des Mélodies by Marcel Vidal-Saint-André. After the Second World War his career seems to fall asleep little by little. In 1951 he made one of his last appearances at the Théâtre du Châtelet opposite Luis Mariano and Janes Rhodes. Her real name was Marguerite-Virginie Emma Clementine Deceuninck. Her father was Belgian, her mother was English. She received her education at the Conservatory of Liège and made her debut in 1910 at the Théâtre de la Monnaie in Brussels as Elena in ‘’Ivan le Terrible’’ of Gunsbourg. She stayed there for two seasons, then sang in Vichy and Aix-les-Bains and was engaged in 1917 by the Opéra-Comique in Paris. Here she made her debut as Violetta in ‘’Traviata’’. For more than twenty years she was a soloist of this opera house and since 1920 (debut as Juliette in ‘’Roméo et Juliette’’ by C. Gounod) also became a member of the Paris Grand Opéra. Here she sang in several world premieres: on March 14, 1921 in ‘’Antar’’ by Gabriel Dupont, on October 23, 1924 in ‘’Nerto’’ by Charles-Marie Widor, on January 12, 1928 in ‘’La Tour de Feu’’ by Sylvio Lazzari, on 15th May 1929 in ‘’Persée et Andromède’’ by J. Ibert, on 21. 3. 1935 in ‘’Le Marchand de Venise’’ by Reynaldo Hahn. At the Opéra de Monte-Carlo she appeared on 11. 3. 1937 in the premiere of the opera ‘’L'Aiglon’’ by Honegger and Ibert, whose title role was composed for her. In 1923 she was celebrated at the La Scala in Milan as Louise in G. Charpentier’s opera ‘’Louise’’ under A. Toscanini. In 1925 and 1928 she sang with similar success the part of Mélisande in ‘’Pelléas et Mélisande’’. In 1926 and 1928 she made guest appearances at the Covent Garden Opera in London as Manon of J. Masssenet, Concepcion in M. Ravel's ‘’L'Heure espagnole’’. In 1927 she was a guest at the Teatro Colon in Buenos Aires. In 1939 she retired from the stage and then lived with her husband Marcel Boussac at a castle in the Loire Valley. Since 1910 she studied singing at the Conservatoire de Paris under Paul Vidal, Albert Wolff and Marguerite Long. She also received her education at the Paris Sorbonne and at the École du Louvre. After her appearances in Brussels (1914), she began her real stage career in 1916 at the Opéra-Comique in Paris. Here she made her debut as Lakmé. For almost twenty years she was one of the most prominent artists of this house. On 8. 4. 1920 she sang there in the premiere of the opera ‘’Le Sauteriot’’ by Sylvio Lazzari and on 9. 3. 1923 in the world premiere of Samuel-Rousseau's opera ’’La Hulla’’. In 1923 she sang at the Opéra-Comique in a gala performance of ‘’Le roi d'Ys’’ by Lalo on the composer's 100th birthday. Since 1931 she was also heard at the Grand Opéra in Paris and performed there in 1931 in the premiere of the opera ‘’Virginie’’ by A. Bruneau. In 1927 she guested in Amsterdam as Mélisande in the Dutch premiere of this opera ‘’Pelléas et Mélisande’’ by Debussy and in 1928 as Micaela in ‘’Carmen’’. In 1929 she was heard at the Opéra de Monte-Carlo as Sophie in ‘’Werther’’ and as Suzanne in ‘’La Croisade des Dames’’. From 1934 to 1939 she participated in the annual seasons lyric organized by Maurice Lehmann at the Théâtre Porte-Saint-Martin. In 1939 she retired from the stage, since then she taught singing in Paris. Maurice’s career spanned more than 50 years in Europe and the United States and without exception was referred to as “The Great Russian Tenor”. Maurice began his career under the tutelage of Pyotr Illyich Tchaikovsky when he was just 7 years old. In later years in England, he was coached by Hugo Heinz and represented by H. Bernhardt. His appearances included among others, the Royal Albert Hall and a command performance before King George V of England, as solo artist with a 125-piece symphony orchestra, conducted by Thomas Beecham. One of his favourite operatic roles of all time was in “Cavalleria Rusticana”. Maurice was in popular demand all over the United Kingdom where he was likened to the late Caruso. It was said he was one of the world’s greatest voice technicians and had a brilliant range from a low F to an F above high C.
Maurice and his partner Rosie Dubin (Mezzo Soprano) emigrated to America in 1922 after World War 1. In 1925 Maurice produced his own opera in Chicago. Whilst continuing his opera and concert work in the Northwest of America, he sang for President Roosevelt. In the 1930’s he was originator and director of the Northwest Civic Opera company of Seattle. In addition, Maurice together with Ivan Novikoff opened up the Russian School of Ballet and Opera. In 1937 Maurice took the Grand National Opera Company on tour of the West Coast of America, producing a number of popular operas and some lesser known works such as the Chocolate Soldier and Billy Forget Me Not. Maurice’s last big work was a concert presented during the opening ceremonies of the First Narrows Bridge (Galloping Gertie) in 1940. Maurice and Rosie toured all over America but made Gig Harbour their permanent home. After the Second World War, Maurice continued to teach Voice coaching and technique until illness forced him into retirement. Maurice died in June 1950. He was born in the family of a railway engineer. In 1908, after graduating from high school, he entered the law faculty of Moscow University. From 1915 to 1918 he studied at the Moscow Conservatory with V.M. Zarudnaya. In addition he perfected his vocal under N. P. Davydova. These classes lasted only three months, but they gave a lot to the young singer. He made his debut in Saratov (1918). 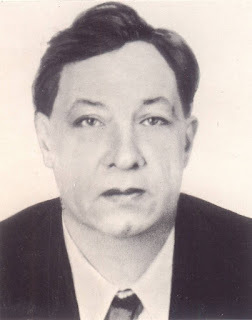 In the 1920s-1930s he performed on the operatic stages of Sverdlovsk, Perm, Saratov, Astrakhan, Tsaritsyn (now Volgograd), Baku and other cities, performing the leading tenor parts (Lensky, Berendey, Prince, Synodal, Igorevich, Faust, Herman, Golitsyn, Canio, Radames, Jose, Alfred, Duke). He also sang in the theaters of Moscow (“People’s House”, “Free Opera”, the musical theater named after Stanislavsky and Nemirovich-Danchenko). From 1936 to 1958 he worked at the All-Union Radio. He was one of the main singers of the opera group formed on the radio. This period includes a number of the best performing achievements of the singer. He sang the parts of Don Juan (“The Stone Guest” by A. S. Dargomyzhsky), Des Grieux and Cavaradossi (“Manon Lescaut” and “Tosca” by G. Puccini), Riccardo (“Ballo in maschera” by G. Verdi), Kiribeyevich (“The merchant Kalashnikov ”by A. G. Rubinshtein) etc. From 1948 to 1966 he taught in the class of singing at the Gnessin State Musical College. When he was a student at the Moscow Conservatory, he worked with M. M. Ippolitov-Ivanov in composition. He wrote a series of romances (not published). A lot of energy was spent by him in the sphere of literary activity, working as translator. On the radio, using his literary texts, the operas Fra-Diavolo by Aubert and Gioconda by A. Ponchielli were produced and recorded. He translated in Russian songs of Schubert, Schumann, Mendelssohn and others. Her real name was Hermine von Flick. 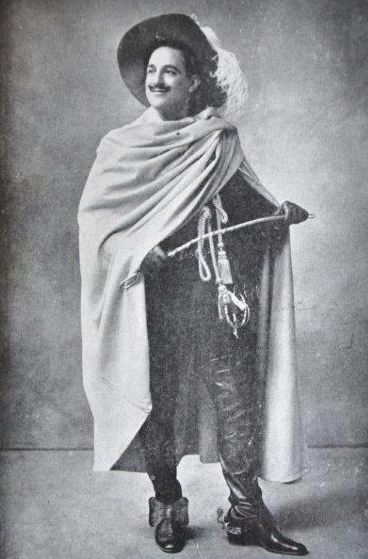 She studied singing under Ms. Aurelie Jäger-Wilczek in Vienna and made her debut in 1898 at the Hoftheater in Wiesbaden as Ännchen in ‘’Freischütz’’. She remained there until 1900 and in the 1900-1901 season sang at the Vienna Court Opera. Since 1901 until her retirement (1926) she was a member of the Munich Court Opera. In 1903 she appeared in the Munich premiere of the opera ‘’Le Donne curiose’’ by Ermanno Wolf-Ferrari (in the Residenztheater) as Colombine, in 1906 she sang here (again at the Residenztheater) in the premiere of the opera ‘’I quattro rusteghi’’ by E. Wolf-Ferrari, in 1912 at the Court Opera in the world premiere of the opera ‘’Franfreluche’’ by Wilhelm Mauke. In 1910 she created G. Puccini's Butterfly for Munich, in 1911 the Octavian in R. Strauss’s ‘’Rosenkavalier’’ and J. Massenet's Manon, in 1913 the Zerbinetta in ‘’Ariadne auf Naxos’’ by R. Strauss. She appeared as a guest in 1905 and 1914 at the Berlin Court Opera, in 1910 at the Court Opera in Dresden, in the 1908-1911 seasons several times at the Vienna Court Opera, in the 1905-1915 seasons at the Court Theater of Stuttgart, in 1907 at the Deutsches Theater in Prague, in 1908 at the Vienna Volksoper, from 1906 to 1915 at the Frankfurt a.M. Opera House, also at the opera houses of Cologne and Leipzig, at the Stadttheater in Bremen, in 1906 and 1907 at the Riga Opera House, in 1912 at the Théâtre de la Monnaie in Brussels and in 1921 at the Stadttheater in Basel. Guest performances also brought her great successes in Russia; she sang in St. Petersburg among others as a partner of Mattia Battistini. 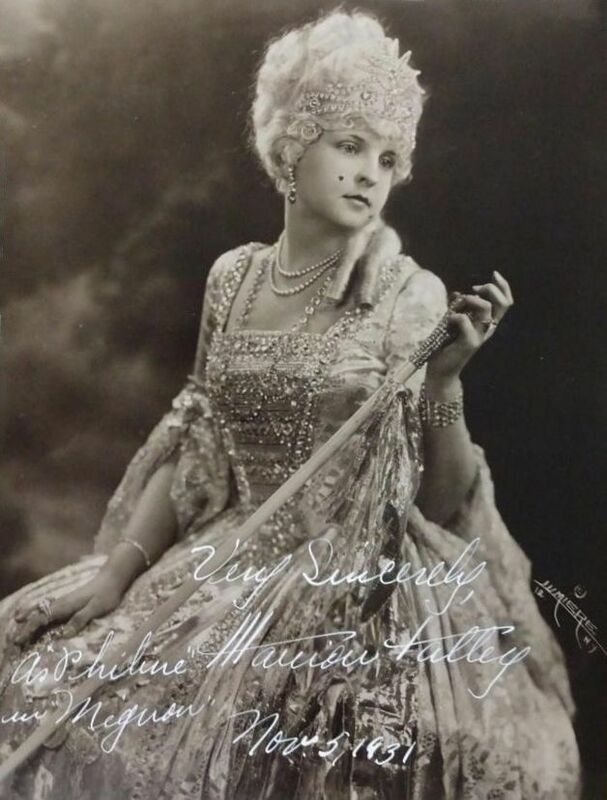 In 1912 she made guest appearances at the Municipal Theater of Zurich as Susanna in ‘’Figaros Hochzeit’’, Violetta in ‘’Traviata’’ and as Frau Fluth in ‘’Lustigen Weibern von Windsor’’. At the Covent Garden Opera (1907) she appeared in ‘’Bartered bride’’ by B. Smetana's and ‘’Die Meistersinger von Nürnberg’’ of R. Wagner. In 1913 she was heard at His Majesty's Theater of London in the English premiere of the Richard Strauss’s opera ‘’Ariadne auf Naxos’’. The same season, again at the Covent Garden Opera she sang the role of Octavian in R. Strauss’s ‘’Rosenkavalier’’. She remained active until 1926 at the Munich Opera (1924-1926 as a guest). From 1924 to 1930 she was a teacher at the Hoch Conservatory in Frankfurt a.M., then in Munich. Her daughter Elly Bosetti appeared in the 1930’s as soprano (debut in 1935 at the Municipal Theater of Bamberg as Lola in ‘’Cavalleria Rusticana’’). Her real name was Lisbeth Sättler. Already in her childhood, she showed an amazing musical talent and performed Schubert songs at the age of seven. First she studied piano (1912-1913), then singing at the Conservatory of Dresden, and finally with the Dresdner educator Otto Watrin. 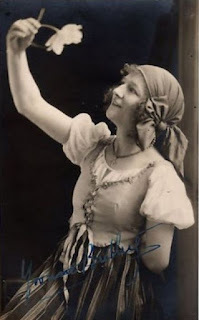 She made her debut at the Dresdner Hofoper in 1915 as Arsena in "Zigeunerbaron" and had her first great success there as Agathe in "Freischütz". In 1919 she sang the role of Empress in the Dresden premiere of "Frau ohne Schatten" by R. Strauss. On 11. 12. 1917 she appeared in Dresden in the premiere of Hans Pfitzner's "Christelflein", on 23. 2. 1920 in Hugo Kaun's "Der Fremde". Then she performed at the Hofopern in Vienna and also in Berlin. She was very successful at the Leipzig Gewandhaus concerts. She remained in Dresden until 1922 and then joined to the Metropolitan Opera in New York, where she had brilliant successes from 1922 to 1942. Her debut role in New York was Aida. Here she also sang in 1928 in the premiere of Respighi's "Campana sommersa". Arturo Toscanini called her voice the most beautiful soprano he has ever heard. In the 1928-1940 seasons she performed again and again at the San Francisco Opera, from 1934 to 1941 at the Chicago Opera; she also appeared at the Ravinia Festival near Chicago. In 1923 and 1928 she sang at the Havana Opera, in 1925 and from 1934 to 1939 at the Covent Garden Opera in London, in 1929 at La Scala in Milan (as Aida under Toscanini) and in 1934 at the Teatro dell'Opera di Roma. In 1936 she appeared with great success in R. Strauss’s "Rosenkavalier" at the Covent Garden Opera in London. 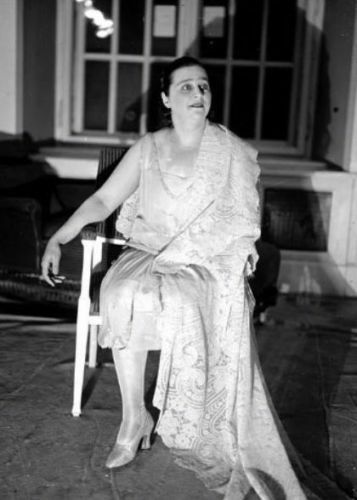 She was also heard in her native country: on June 6, 1928 she appeared in the title role at the Staatsoper in Dresden in the world premiere of R. Strauss’s opera "Die Ägyptische Helena". At the Salzburg Festival she sang the role of Konstanze in Mozart’s "Entführung aus dem Serail" (1922), in 1933 she performed as Leonore in "Fidelio" and in 1937 as Donna Anna in "Don Giovanni", in 1933 she sang the soprano solo in the G. Verdi’s ‘’Requiem’’. Concert tours have taken her through North America, Canada, Australia and Europe. Her first husband was the merchant Albert Doman. In 1957 she married the baritone George Cehanovsky (1892-1986). In 1942 she retired from the stage. In 1944 she gave a final concert at the New York Town Hall. She continued to live in New York. Her repertoire included Aida, Donna Anna, Desdemona, Leonora in "Trovatore", Butterfly, Tosca, Agathe in "Freischütz", Maddalena in "Andrea Chénier", Sieglinde, Elsa, Elisabeth in "Tannhäuser" and Sieglinde in "Walküre". 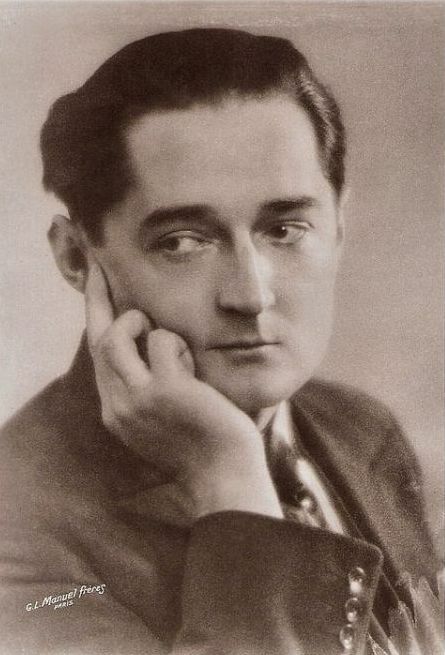 He studied at the Vienna Academy of Music and made his debut in 1910 at the Municipal Theater of Opava, where he performed until 1913, in the 1913-1914 season he was engaged by the Municipal Theater of Teplice-Schönau. In 1914 he became a member of the Vienna Court Opera. He remained a principal baritone of this opera house until the end of his stage career (1940). In Vienna, Hans Duhan gained great popularity, as well as at the Salzburg Festival, where he repeatedly appeared in Mozart roles. In 1922 he sang the part of Don Giovanni at the Salzburg Festival. 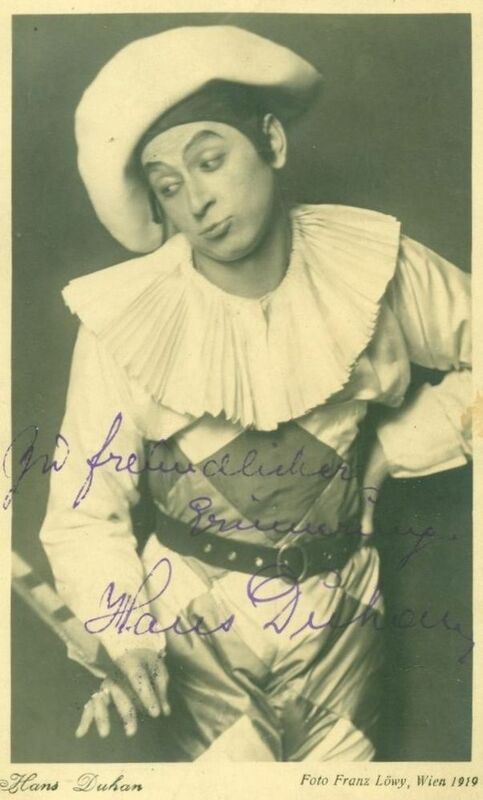 In 1922 and 1927 he appeared there as Count in ‘’Figaros Hochzeit’’, in 1928 as Papageno in ‘’Zauberflöte’’. Until 1937 he gave recitals there, which were highly appreciated by festival audiences. On 4. 10. 1916 he appeared in Vienna in the premiere of the revision of the Richard Strauss’s opera ‘’Ariadne auf Naxos’’, in 1934 in the world premiere of F. Lehár's operetta ‘’Giuditta’’ (20. 1. 1934). He guested in Amsterdam in 1922 (and again in 1924 in a guest performance by the ensemble of the Vienna State Opera with ‘’Ariadne auf Naxos’’). His repertoire included King Solomon in ‘’Königin von Saba’’, Amfortas in ‘’Parsifal’’, Frank in ‘’Toten Stadt’’, Scarpia in ‘’Tosca’’ and Escamillo in ‘’Carmen’’. In 1930 he created the song cycle ‘’Reisetagebuch aus den österreichischen Alpen’’ by Ernst Krenek. In 1938 he sang in Vienna in the world premiere of the oratorio ‘’Das Buch mit sieben Siegeln’’ by Franz Schmidt. Since 1932 he was appointed as a professor of the Vienna Music Academy. He also worked as director and conductor at the Vienna State Opera. He also composed several vocal works. 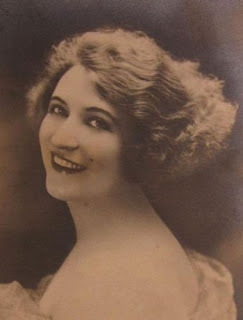 She was discovered at an amateur singing competition by the director of the Lyon Opera Gaston Beyle.She made her debut at this opera house in 1919 as Micaela in ‘’Carmen’’. For ten years she sang at provincial French theaters before she was engaged by the Grand Opéra in Paris in 1921. Here she made her debut as Mathilde in ‘’Guillaume Tell’’ by G. Rossini. Until 1930 she remained a celebrated member of the Grand Opéra, where in 1928 she sang the title role in the premiere of G. Puccini's ‘’Turandot’’. In 1926 she performed in Madrid, Barcelona and Monte Carlo, in 1928 in Brussels, in 1929 in Cairo. In 1928 she sang the part of Marguerite in ’’Faust’’ at the Covent Garden Opera in London. In 1927 she appeared at the Opéra de Monte-Carlo as Marshal in ‘’Rosenkavalier’’, Rezia in ‘’Oberon’’, Marina in ‘’Boris Godunov’’ and as Thaïs in J. Massenet’s ‘’Thaïs’’. She also performed at the opera houses of Liège and Antwerp. In 1930 she joined to the Opéra-Comique in Paris.Here she made her debut as Tosca. in 1932 she appeared at the Théâtre Mogador in Paris in J. Offenbach’s operetta ‘’Orphée aux enfers’’, but soon she retired from the stage for health reasons, after she had again achieved one of her great successes at the Opéra-Comique in the title role of G. Charpentier’s ‘’Louise’’. She trained at the Conservatory of Kiev under Päts and made her debut in 1913 at the Odessa Opera, where she had her first successes as Wagnerian singer and as Tatiana in Tchaikovsky's ‘’Eugene Onegin’’ and remained the leading singer of this opera house until 1921. In 1921 she left with her husband, the conductor Alexander Kitschin, Russia and settled in Wiesbaden. After further studies in Italy, she gave a series of brilliant concerts in Paris (1925) and until 1927 guested at the Grand Opéra in Paris, especially as Aida. In 1928 she was celebrated at concerts in Berlin, where her recordings were made. In 1929 she toured with an Italian opera troupe Australia. In 1931 she gave a concerts in Monte Carlo. In 1932 she made guest appearances in the Baltic States. Opposite her husband she made guest appearances through South Africa (1934), then she taught singing in Durban. She received her education at the Music Academy of Budapest. In 1911 she made her stage debut at the Volksoper in Budapest; she made her debut in ‘’Quo vadis?’’ by Nouguès. In 1915 she was engaged by the National Opera of Budapest, where she was so popular, that in 1934 she became a lifelong member of this House. Here, on 24. 4. 1932, she sang in the premiere of ‘’Székely fono’’ by Zoltán Kodály. She made successful guest appearances at the Berlin State Opera, at the state operas in Dresden and Munich, at the Opera in Prague and at the Antwerp Opera House. She also toured in Brussels (1929), The Hague (1929) and in Bucharest, gave very successful concerts in Berlin (1927-1929) and London (1930). One of her last stage performances was in Budapest, where she sang the part of an old countess in ‘’Pique Dame’’ by Tchaikovsky (1945). She was considered an outstanding concert singer. In 1937 she sang in a cathedral concert at the Salzburg Festival. She was one of the first singers to support Hungarian folk music, rediscovered by Bela Bartók and Zoltan Kodály, and had a great influence on the entire musical life of her time in Hungary. She made a few records for Parlophon and HMV. She was a musical prodigy and she began singing at the age of five. She was only 15, when settled in Kansas City. She showed an amazing talent in piano and violin playing. Then she studied with Frank La Forge in New York, where she also gave her first concerts. 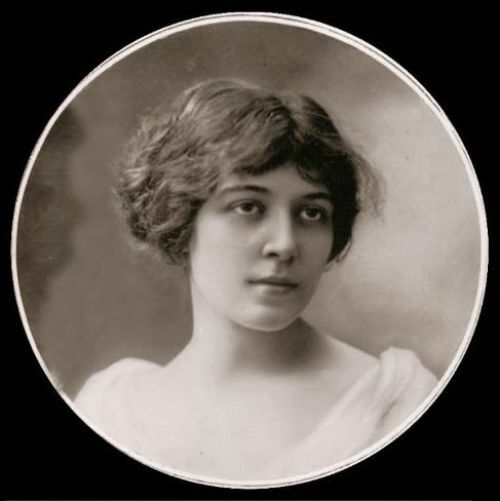 After additional education in Europe she made her debut in 1926 - only 19 years old - at the Metropolitan Opera in New York as Gilda in "Rigoletto" (opposite Giacomo Lauri-Volpi and Giuseppe de Luca). She had a sensational success. Both the critics and the audience enthusiastically celebrated them. A special train was used from her hometown Kansas City to New York. The following three seasons she remained a member of the Metropolitan Opera. There she sang in 1926 in the premiere of "Le Rossignol" by I. Stravinsky. At the Metropolitan Opera her repertoire included the Queen of the Night in "Zauberflöte", Lucia di Lammermoor, the Olympia in ‘’Les contes d'Hoffmann’’, the Philine in "Mignon" and the Queen of Shemakan in N. Rimsky-Korsakov ‘s ‘’The Golden Cockerel’’. She appeared at the Metropolitan Opera until 1929. A triumphant North American tour in 1928 marked the peak of her career, which ended as quickly as it had begun. In 1929 she retired to her farm and did not appear again until 1933. In 1933 she appeared as Gilda at the Chicago Opera, but without success. In 1934 she tried Vitaphone sound film, later she became a radio singer. In 1939, encouraged by successes on American radio, she reappeared at the concert hall, but remained without any major successes, whereupon she withdrew from musical life. Then she lived in Hollywood. She was briefly married the pianist and accompanist Michael Raucheisen (1889-1983). First he studied chemistry and from 1914 to 1918 as a soldier took in the First World War. Without proper vocal studies he made his debut in 1918 at the Stadttheater of Krefeld as Manrico in "Trovatore". In the 1920-1923 seasons he was a soloist of the Stadttheater in Freiburg i. Br., Since 1923 he appeared at the Berlin Staatsoper. Here he sang the parts of Pinkerton in "Madame Butterfly" and Eisenstein in "Fledermaus" and also participated in the Berlin premiere of L. Janáček’s "Jenufa" (1924). Although he had in his repertoire roles such as Tamino in "Zauberflöte", Rodolfo in "La Bohème" and Cavaradossi in "Tosca", but he gladly took over also buffo roles like Pedrillo in "Entführung aus dem Serail", Don Curzio and Basilio in "Figaros Hochzeit", David in "Meistersingern"and Mime in the Ring Cycle. In 1928 he appeared at the Berlin State Opera in the world premiere of Franz Schreker's "Der singende Teufel". Until 1934 he remained a member of the Berlin State Opera. During this time he also appeared at the Berlin Kroll Opera, u.a. 1927 in the world premiere of "Royal Palace" by Kurt Weill. He later turned mainly to the operetta, after he had tremendous successes in 1930 at the Metropol Theater in Berlin in Millacker's "Bettelstudent" and in the premiere of "Das Veilchen vom Montmartre" by Kalmán. In 1930 he sang in Amsterdam in "Fledermaus" under Bruno Walter, the same performance was repeated at the Covent Garden Opera in London. In the 1931-1932 season he worked at the Teatro Colon in Buenos Aires, especially in buffo repertoire, and worked there in 1931 in the premiere of Stravinsky's "Oedipus Rex". Since 1933 he had a huge successes at the Berlin Theater of the West in operettas such as "Die lockende Flamme" by Künnecke (world premiere on 27. 12. 1933), "Der Page dsr Königs" (1933) and "Der goldene Pierrot" by Walter W.Goetze. The career of the singer took a long time, even in 1956 he sang at the Hamburg Operetta Theater. 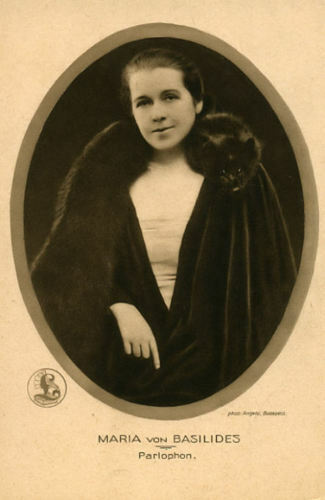 Married the actress and cabaret artist Käthe König. With his second wife Edith Schollwer, who performed in operettas, he made a few records on Electrola. Her real name was Germaine Pointu. At first, she wanted to become a pianist, but then she studied voice at the National Conservatory in Paris with the teachers Albers und Engel. She made her debut in 1925 at the Paris Grand Opéra as Euryclée in ‘’Pénélope’’ by Gabriel Fauré. In 1927 she came to the Opéra-Comique in Paris, where she first sang smaller roles, then roles like Charlotte in ‘’Werther’’, Carmen, Mignon, and Geneviève in ‘’Pelléas et Mélisande’’. In 1930 at that house she took part in the world premiere of the opera ‘’Le Sicilien’’ by Omer Letorey. She had important successes at the Théâtre de la Monnaie in Brussels and on French provincial stages. She gave guest performances in North Africa, in Switzerland, in England, Ireland and Italy, where she appeared in the 1939 Florence May Festival as Florenz in Ravel's ‘’L'Enfant et les sortilèges’’. In a broadcast of French Radio she even undertook the soprano role in ‘’Pelléas et Mélisande’’. She was regarded as one of the leading French concert altos of her generation, above all as a great Bach interpreter. She was on the point of entering a convent when she suddenly died. In addition to her exquisitely cultured (above all in the high register) voice, her ingenious art of delivery as well as her mastery of phrasing were treasured. She represented a voice type which the French designate 'Galli-Marié' (after the great prima donna, Célestine Galli-Marié).